A holiday traditional best seller! 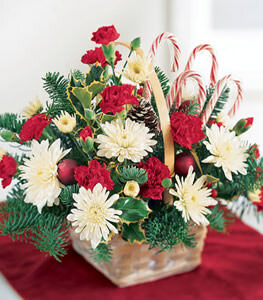 Heres a delightful way to kindle the holiday spirit with a festive array of white and red flowers such as carnations and pompons, and greens adorned with candy canes. Candy canes may be edible or artificial.